The purpose of the Championship Program is to encourage interactivity between individual Corvette Clubs within C.C.C.C. West. 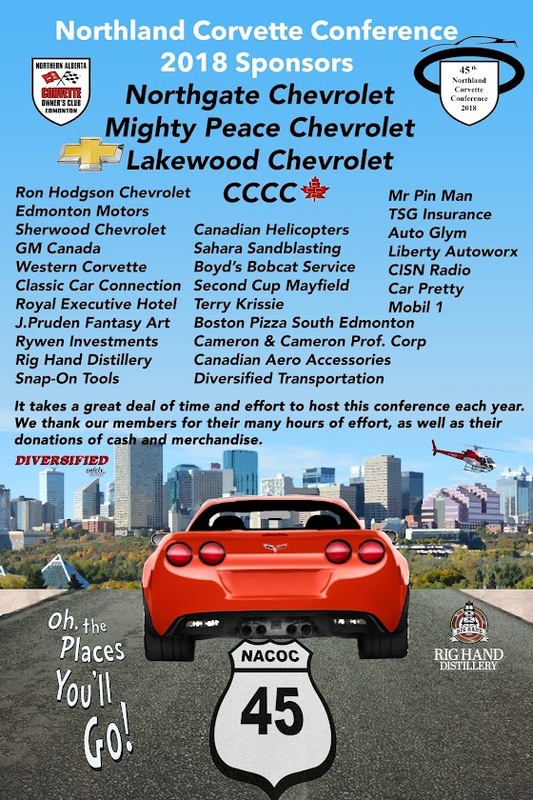 Canadian Council of Corvette Clubs - Western Region has initiated the Championship Program to provide uniform and fair standards under which competition events may be sponsored by individual Corvette Clubs. Participants should remember that these events are sporting events to be conducted in a sporting spirit; that they are organized and managed by amateurs who cheerfully give their time to do their best; that the competitor may expect some imperfections of the organizers and of his fellow competitors, and, that to a reasonable extent, these things are part of the chance s/he takes in entering the event. hosted by Kelowna Corvette Club, B.C. Thank you to all of our sponsors and to everyone (including out of town guests) that helped out. From the organizing committee to all of you that committed your time to take on tasks - you helped make this weekend another NACOC weekend to be remembered - as it has been for the past 44 years. For more details about the weekend please enjoy reading all about it in the “Come join us! Life is a highway” section under the About Us tab of this website. Check out some of the things we have done in previous years.